Priecājamies paziņot, ka skulptoriem sākusies pieteikšanās 13. Starptautiskajam Smilšu skulptūru festivālam "Summer Signs 2019" Jelgavā. Festivāla norises laiks - 2. līdz 8. jūnijs. Pieteikšanās līdz 2019. gada 7.aprīlim. The International Sand Sculpture Festival in Jelgava is taking place for the 13th year. 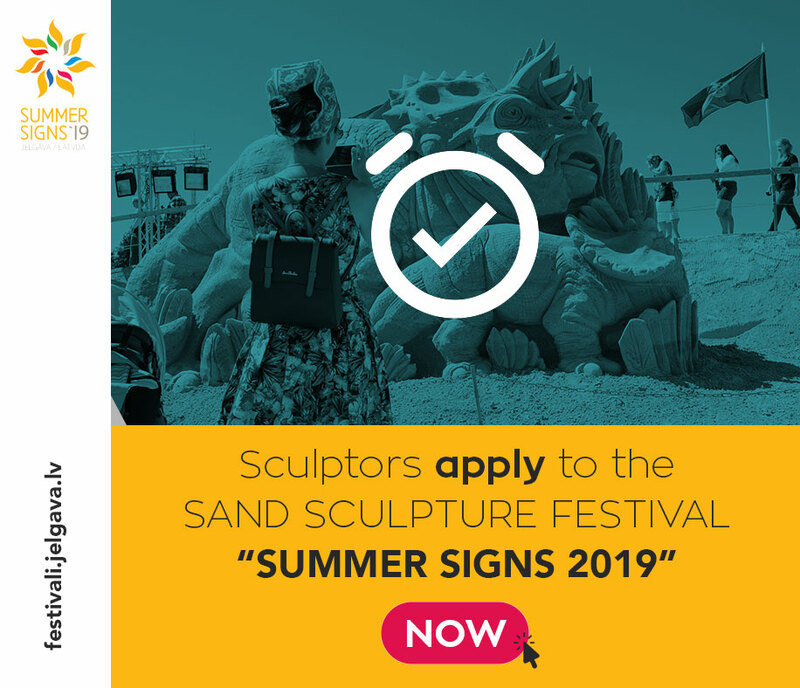 Every year the festival brings together more than thirty renowned professional sculptors and artists from all over the world. The Festival will be held from 2nd to 8th of June, 2019. Please Apply HERE and read the festival REGULATION before applying.